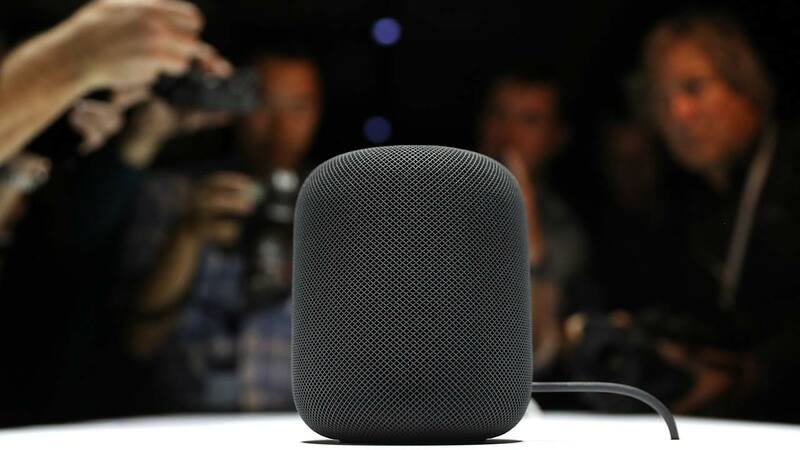 Apple on Monday unveiled its “HomePod” speaker as it moved to challenge Amazon Alexa and Google Home as a smart home and music hub. HomePod, powered Apple’s Siri digital assistant, will be priced at $349 when it begins shipping in December in the United States, Australia and Britain, the tech giant announced at its annual developers conference. “It’s so cool, we really believe it is going to take your home music experience to the next level,” Apple chief executive Tim Cook said of the new device. Apple vice president Phil Schiller said the Siri team at Apple had tuned the assistant into a “musicologist” that learns the tastes of listeners and gets songs from the internet cloud. The speaker has the “power to rock the house,” according to Schiller, who said the team worked to make HomePod an potent assistant for news, messages, weather, traffic, home controls and more. HomePod capped a keynote presentation at Apple’s Worldwide Developer Conference that included updates to its iPad and Mac laptop lines, and upgraded operating software enabling augmented reality for iPhones and iPads. Analysts said Apple is playing to its strength in the music industry by focusing on sound quality and its catalog of songs available on HomePod. “Apple is smart to frame the HomePod as a music-centric and audio-centric device rather than just another smart speaker or another home for Siri,” said Jackdaw Research analyst Jan Dawson. A survey released last month by research firm eMarketer found Echo speakers held 70.6 percent of the US market, compared with 23.8 percent for Google Home and 5.6 percent for others including Lenovo, LG, Harmon Kardon and Mattel. Cook used the Apple keynote to show off new iPad and Mac computer models, as well as provide glimpses at coming versions of the software powering the technology titan’s devices. Along with upgraded versions of iPad and Mac laptops, Apple provided look at an iMac Pro work station that had the computing built in behind the screen and was touted as the most powerful computer the company has ever made. The iMac Pro was to begin shipping in December with a starting price of $4,999.